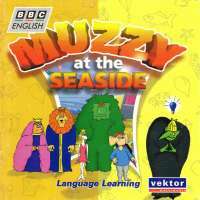 The Muzzy series on CD-ROM has been carefully designed as a stimulating environment in which children can develop language and early learning skills through exploration, practice and play. Muzzy is an award winning foreign language course designed for children of all ages, from infant to young adult. The title character is a giant, green, fuzzy space traveler named Muzzy. He speaks with a slow delivery and is a super-annunciator, saying everything a pace or two slower than the other characters. At first, his manner of speech may annoy any adults in the room but will quickly grow on you. The way he speaks makes learning these new words easier for you and your kids. The CD-ROM is brimming with language-stimulating activities as pre-readers can enjoy. Voice-prompted games put new language skills to creative use.